Bodacious Bar-B-Q hit my radar at a very early age. Growing up, one of our favorite local restaurants in Arlington was called The Candlelight Inn off Division Street. It’s a small family owned joint known for Mexican and Italian food with charcoal grilled steaks. I LOVED going there as a kid as they have juke boxes at the table and of course pizza. 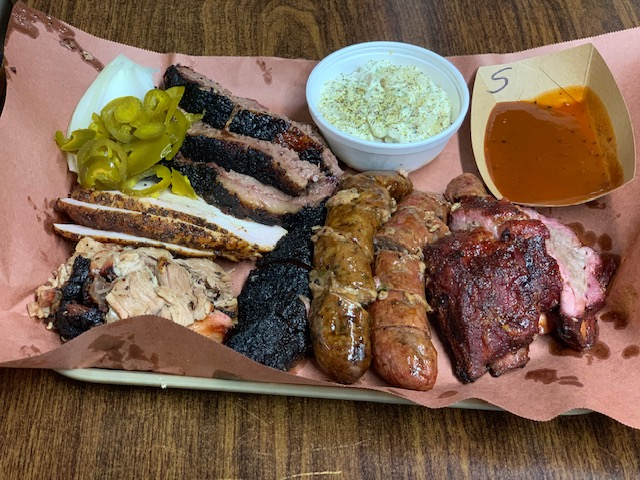 Some days the wait could get long, so we would go to the Bodacious Bar-B-Q next door. I hated it when that happed because as a kid I never liked BBQ. Crazy right? Fast forward twenty years later and Bodacious entered my life once again on a more positive note. 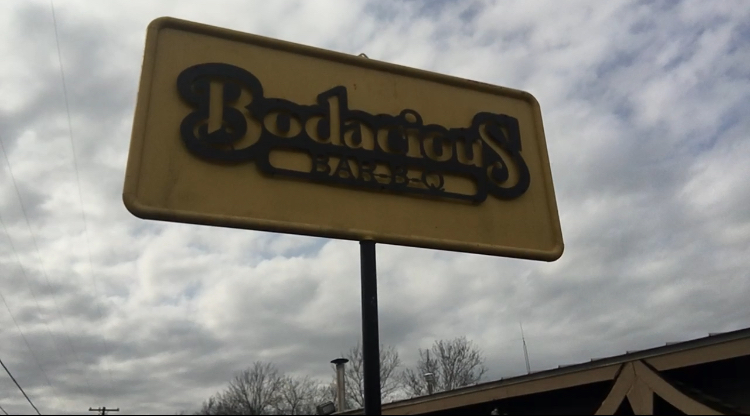 We had gotten on a hunting lease outside Paris, TX and the nearest place to get food was Bodacious. By this time my taste for BBQ was taking off and I always looked forward to a brisket sandwich on the way to Atwoods to buy more deer corn. About that time my little BBQ blog (originally Guns Up BBQ) was starting up and Chef Jordan Jackson gave me a follow. I believe at the time he was working at Stanley’s in Tyler, TX.  He announced he was reopening the original Bodacious Bar-B-Q in Longview and became very active on Twitter. It was a really fun follow as he was confident in his craft. I remember him always reaching out to Daniel Vaught to give him a visit and Daniel would respond that when he decides to visit Jordan wouldn’t know until he reached the cutting block. Not a few weeks later, Daniel showed up and gave the joint rave reviews. This really blew me away and I knew something special was happening as Daniel hardly speaks positive of chain BBQ. Bodacious on Mobberly was different. 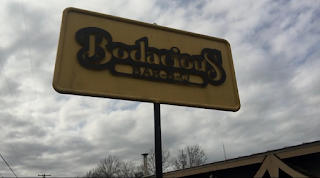 I tried many times to make it out to Longview to give Bodacious on Mobberly a try, but anytime I made plans they would get cancelled. Then the ever popular Texas Monthly Top 50 came out and they came in #4!!! I started my adventure to hit the top 50 for the Yeti passport and put the East Texas swing on my radar. Sadly, my daughter’s illness put that challenge on hold. Reddirt BBQ and Music Fesitval rolled around and Chase Colston invited me out. Bodacious Bar-B-Q was my first stop and I sampled their beef ribs with black truffle being served to the VIP guests. It was an unbelieveable bite and I knew once my daughter was healthy I had to make it out. Fast forward 7 months later and I finally got that chance. seasoning, a little more moist, good but not great. All in all I really enjoyed my visit to Bodacious. Very much worth the drive from DFW and I will for sure be back. Bryan Bingham is one of the good guys in BBQ and one hell of a pitmaster. I can’t thank him enough for his hospitality and giving me a tour of the pitroom.